During the summer months, there are cookouts, holiday parties and many other events with tempting treats. how do you avoid all the unhealthy food options that are served at these types of occasions? We asked Brick Bodies Fitness Services to share their fit tips for maintaining weight loss during the summer months. 1. Plan for success. In the beginning of the week, shop for all the healthy ingredients you'll need to make your meals throughout the week. 2. Keep portions in check. Read the nutrition labels on food containers and eat the suggested serving sizes. 3. Be sure to keep up with your intake of fruits and vegetables. 4. Avoid fattening dips, like the classic ranch dip, which can carry a lot of fat. Instead, make healthier, protein-packed options like homemade hummus. 5. Consume everything in moderation. Don't rule out everything, but to keep your weight under control, try to fill up more with healthier items and keep unhealthy treats to a minimum. 6. Eat a snack before you leave the house. Doing this will keep your cravings under control and may keep you satisfied long enough so you'll make healthier decisions while out at social gatherings. 7. Don't eat when you're bored. Mindless eating, eating due to anxiety or eating so you have something to do with your hands are all ways to rack up unwanted calories. 8. Weigh in regularly. Maintaining weight can be simple if you know exactly where you stand and how much you need to lose. 9. Avoid the car. Take advantage of the warm weather and walk or bike to activities. 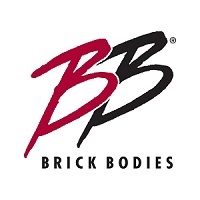 For the days when it's too hot to exercise outdoors, come to Brick Bodies! Try the 30-day First Step Program: only $30 for 30 days! The program includes two personal training sessions per week and full club access. Click here for more details. 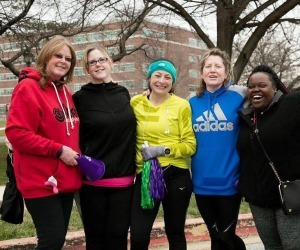 Candi is training with the COMP team for her first 5K race! 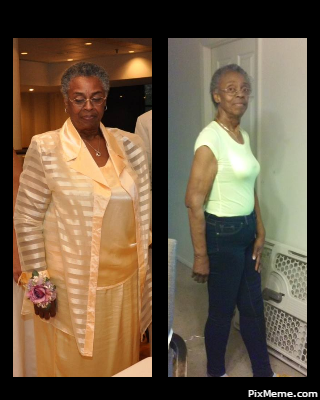 Read below as she shares the ups and downs of her journey from never exercising to taking 10,000 steps a day! You can also check out her personal weight loss blog here. 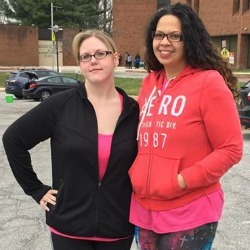 Candi (left) is down 140+ pounds in just one year - and she's not done yet! 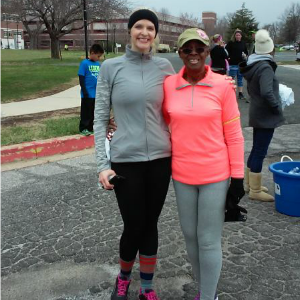 A: Yes, this is my first 5K! Even though I hoped to do some in the past, I was just too unhealthy and overweight to be able to handle anything like that. 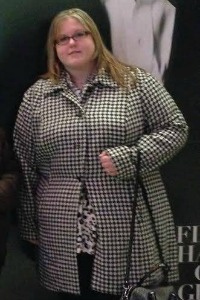 Candi weighed over 330 pounds at her highest weight. Unfortunately I was even told by my PCP that being active at my highest weight would cause my blood pressure to go up too high and end up doing more harm than good at the time. 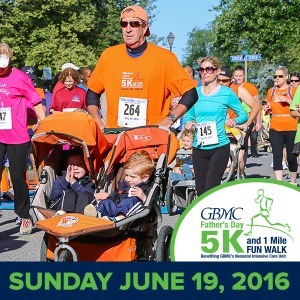 Q: What made you want to participate in COMPto5K? 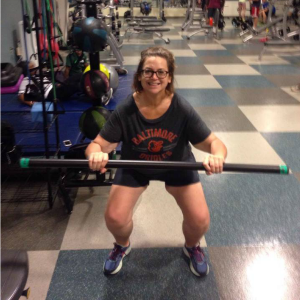 A: The reason I signed up for COMPto5K was to prove to myself that I CAN do this! That if I put my mind to it, I really could do anything. Never in my wildest dreams could I imagine ever being able to endure something like this, and here I am 140lbs down and actually preparing myself for my first 5K! How amazing that life as you know it can change in just one year! It's almost surreal. Q: Describe your training experience. 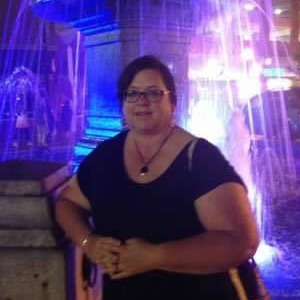 A: Training for the 5K has been challenging, since I have lower back pain and plantar fasciitis from when I was overweight. At first it was quite debilitating, but the more I keep at it, the better it gets. I've only been to two COMPto5k practices since I live quite a bit away from GBMC, however my practice still continues each weekend on a treadmill using an app on my phone specifically designed to train you by upping your run time every few days until you finally meet your goal. Q: Describe your exercise routine before weight-loss surgery. A: My exercise routine when I was younger was consisted of swimming, light weight lifting, and riding a bike. Unfortunately for me, nothing helped me lose weight enough to feel a difference. A few years later leading up to surgery, exercising was never in my day to day life. As I started the process to have the surgery, I did start going to the Bodyvive classes with other bariatric patients which was the motivation I needed to work out more frequently. I now work out 3 days a week, ranging from cardio to boot camp classes. I also do light weight lifting again and try to get at least 8-10k steps in daily as well. Once I start running, the rush is amazing and reminds me just how far I've come since this exact time last year I was out of breath just walking up stairs! 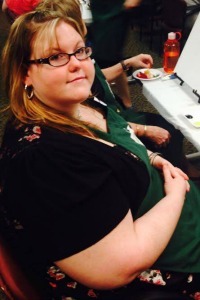 At one point, Candi's doctor told her it wasn't safe to exercise due to high blood pressure. Q: What has challenged you during the training process? A: In the beginning of my 5K training, my back and heel started hurting a lot worse than normal. 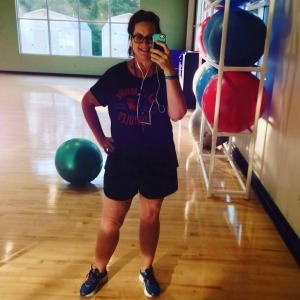 Once you have bariatric surgery, you can no longer take anti-inflammatories, therefore I was afraid I was going to have to stop running altogether. Fortunately after struggling through the pain for a couple weeks, it faded again, hopefully this time for good! Q: What's it like being part of the COMP community? A: Since I started the program, my life has changed completely. My favorite part is feeling like I am finally accepted for me. 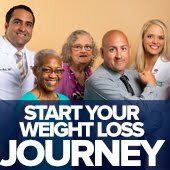 I was welcomed into this amazing family and didn't feel ashamed of who I was for being overweight and wasn't judged for deciding to have bariatric surgery. I remember when I joined the group I was extremely shy and nervous about what I was getting myself into. I found myself going through everyone's comparison pictures constantly, and wishing I could be as successful as they are. Being overweight was such a constant part of my entire life that it truly felt impossible for it to ever change. 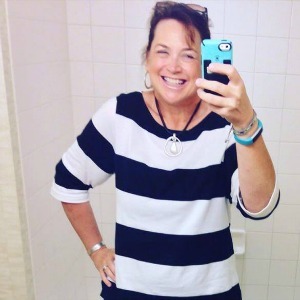 Now here I am post-op sharing my story, blog, and pictures with others. I actually have people coming to me and saying I inspire them! Because of them, I am inspired to keep working at this journey every single day, because I want everyone to see that it's possible that when you put your all into something that you will succeed. If someone like me who weighed 335 lbs can do it, anyone can! This is a journey that will never end, it will be challenging for the rest of my life... but it will also be so rewarding along the way. Even when we reach our weight goals, we'll never be 'done'. And I am ok with that, it just makes me stronger as time goes on. The one and only regret I have now is that I didn't have surgery sooner. I wouldn't change this opportunity for anything else in the world. It truly changed my life and gave me a second chance at living a healthy and happy one at that. God has really blessed me with such a wonderful support group family and skilled surgeon. 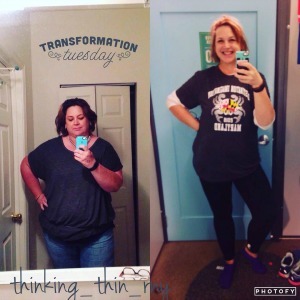 I had the sleeve gastrectomy on September 18th, 2015. Just a day before my 29th birthday! My starting weight was 335lbs (May 2015), surgery weight was 298lbs (Sept 2015), and my current weight is 195lbs (May 2016). My first goal weight is 170lbs, then my ultimate goal would be around 150lbs. 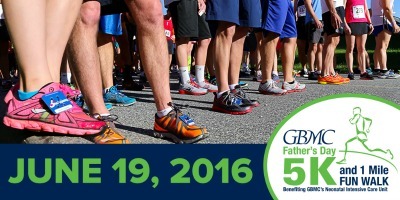 The Father's Day 5K is next month! Don't forget to register for the race if you haven't already! 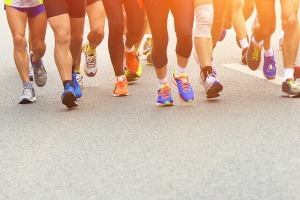 Here is the rest of your COMPto5K training plan. These workouts lead up to the week before the race. 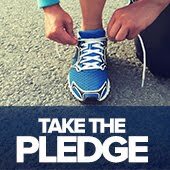 To modify the workout instead of running, try alternating jogging and fast walking throughout your workout. Don't forget to sign up for the meetups on Saturday! Week 24: 6/12-6/17 FINAL WEEK!